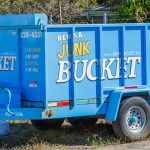 Hendersonville’s Most Beloved Dumpster Rental Service – Junk Buckets! Junk in the home. Junk in the office. Junk in garage. Junk in the basement. Junk is a pain in the behind, no matter where it is. It’s that simple. Junk causes clutter and clutter causes stress and who in the world wants to be stressed? Don’t worry though, my friends. 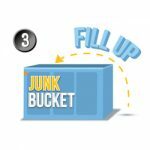 I have the perfect remedy to your junk dilemma and the exact pill you need to subside that clutter induced stress; The Junk Bucket! The Junk Bucket Dumpsters are a perfect solution for any junk and debris issue. They are easy to load. You can load anything you want into them. You get to remove the junk and clutter from your home or office on YOUR time and at your own pace. I mean, the Junk Bucket Dumpster has it all. Oh, and its beautiful, sleek, baby blue design is an ideal way to make your neighbors jealous, and we all know that making your home the envy of the neighborhood is somewhere near the top of that priority list! 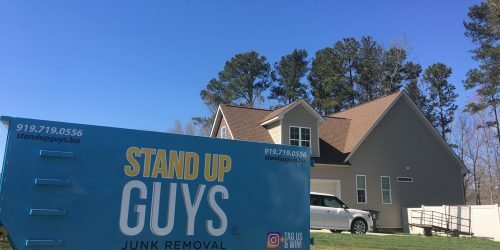 The Stand Up Guys offer Junk Bucket Dumpster Rentals all over the Hendersonville area! We cover all of Hendersonville and more. No matter where you are we’ve got your back. 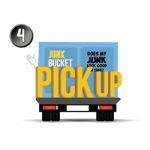 If you’re finally ready to do what you’ve been putting off for years (cleaning out that junk your partner has been nagging about) then it’s time take care of the deed the right way and get yourself a Junk Bucket. It’s perfect for any junk occasion. Hendersonville is one of our favorite areas here at Stand Up Guys. The lake itself is enough to make anyone want to stick around and never leave. Unfortunately we can’t stay forever. 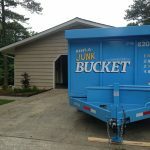 We are usually in and out delivering Junk Bucket Dumpsters to the awesome residents and business owners of Hendersonville. They have fallen in love with us over the years because of our promptness and customer service, so that is not something we are willing to sacrifice, even if that beautiful lake is that enticing. 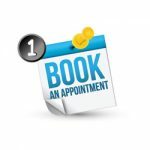 We care about all our Hendersonville customers and their needs. 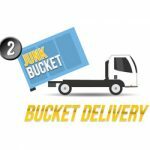 There’s a million things to love about our Junk Bucket Dumpsters, but one of the most popular is how easy they are to order, load and have picked up. The process is as simple as can be. All you have to do is pick up the phone and give us a call at 615-647-0634 and let us know when and where you want the dumpster, and that’s that. At the time that YOU requested. 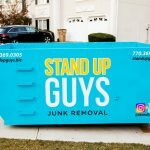 Two Stand Up Guys professionals will roll up to your property in our beautiful baby blue trucks and drop off your personal Junk Bucket! Once you have your Junk Bucket, all you have to do is take your time and fill that bad boy up at your own pace. Take all the junk you want and fill it into our huge, load friendly dumpsters. Once that part is done, let us know and we’ll be buy to pick it up and dispose of everything properly in a timely fashion. Easy as that!